Out now! 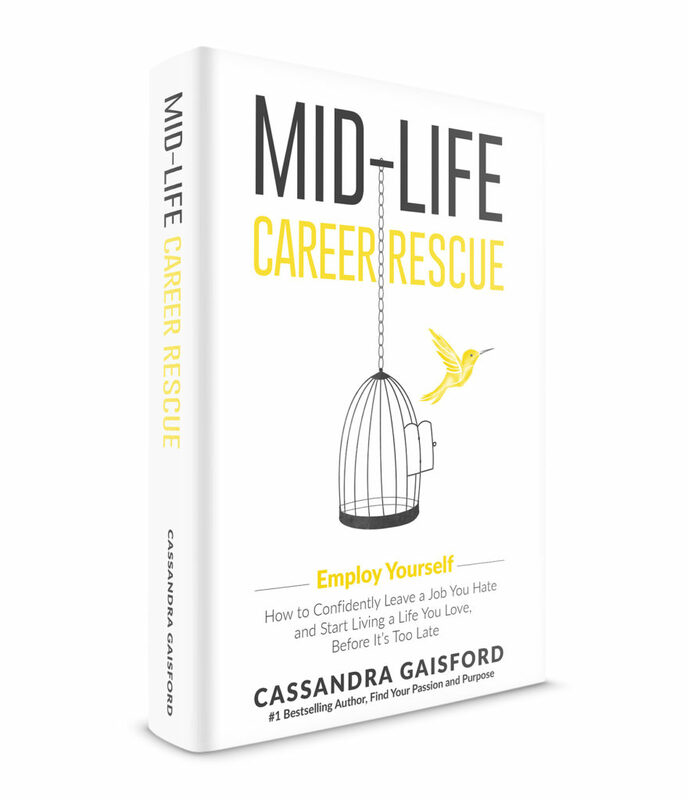 Cassandra’s new book, Mid-Life Career Rescue: Employ Yourself (2018), is finally here! 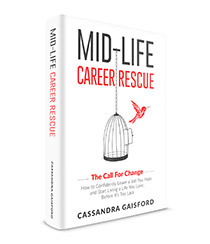 I’m hugely excited about every book I write and release, but I’m especially thrilled about Mid-Life Career Rescue: Employ Yourself (2018). This revised edition has been two years in the making! n the making! HR and Employment predictions for 2018 predict more flexibility in the workplace—which Is great news if you’d love to grow a hobby into a second income stream or develop a flourishing new career. Salaried employment is still a fickle bet, especially for mature workers, so putting some eggs in different career baskets and planning for self-employment is a great risk prevention strategy. That’s the exact, risk-free way I started my business. I share my story of salary slave entrapment as a single mom, living paycheck to paycheck, struggling to balance childcare, weeping at my desk and fighting shingles, to the exact opposite. 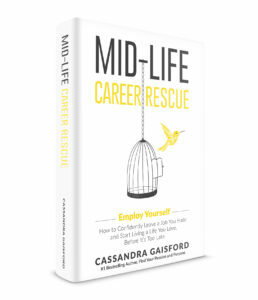 In Career Rescue: Employ Yourself learn how I survived, had fun, found happiness and made a fortune. You’ll find plenty of tips in Employ Yourself to help you hustle on the side, avoid burnout, and work less—not more. Are you already running a business or self-employed and over it? I’ve been there too. And so have many other men and women just like you. 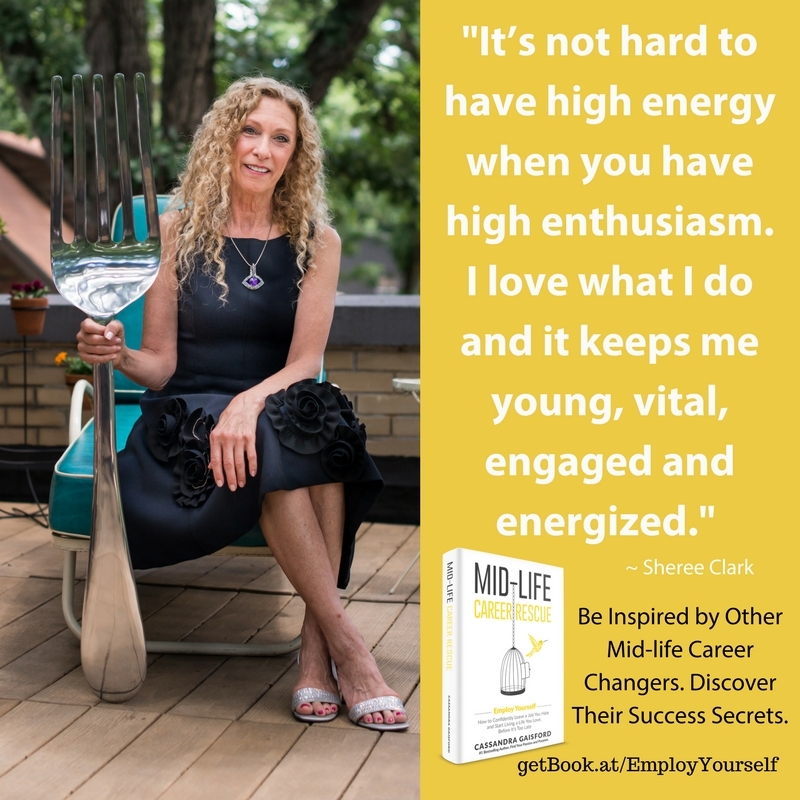 I’m super excited to share Sheree Clark’s inspiring story of mid-life reinvention. Sheree’s gone from being a stressed out, desperately unhappy, over-drinking company director to blissed out media star and healthy living coach. 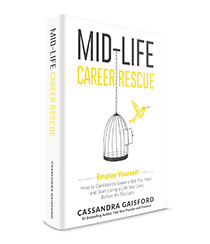 In Career Rescue: Employ Yourself (2018) she shares her favorite tools for helping get back on track when you’re feeling lost, and how to quit your job and figure it out. Quit your job. Change your life. Stress less! 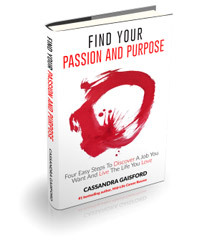 Ditch a job you hate, live your purpose and create a happier, healthier life. 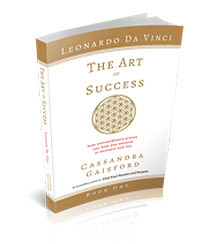 Discover the inner freedom and flexibility of being your own boss. I hope you absolutely adore reading Midlife Career Rescue: Employ Yourself! It’s one of my new favorites. Please feel free to share this newsletter and special offer with any unhappy@work friends or aspiring entrepreneurs! P.S. 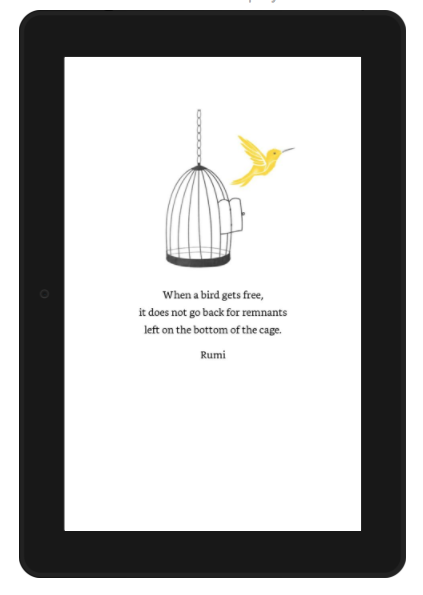 I will be writing again soon with some exciting news…plus a surprise announcement! “Re-reading this book has given me another kick up the bum, to write it all down, work from the end result backwards, envisage the ‘as if’ and build the staircase I need to climb – or the timeline to follow. Having read other books, and returned to this one, it all starts to gel. The other thing I have come to accept in the last few weeks is that I cannot do this alone, without mentors etc. And I’m looking forward to having a change of scenery over January, in Tasmania, to inspire me & be able to do some serious planning – this will be as close to a “retreat” as I can get at the moment. And I KNOW that I must work on my own health & well-being – as a priority – for all this to work. I am actually excited for 2018. I will do anything now to NOT fall in a heap as I did this year. Everything crossed! !